If you love traditional jewelry, a classic set of his and hers wedding bands is a must for your big day. Typically, these wedding sets consist of a wider men's band and a narrower women's ring. They may feature diamond accents and different metals or engraving. These beautiful sets can vary in their materials and motifs, but they all have one thing in common: classic style. Click the "Buy Now" link on the photo in any of the following slides for retail information. Matching textured gold bands are a classic choice. These 14k gold rings are both four millimeters wide and feature an attractive engraved accent that complements their traditional style. The set retails for about $400. Two-tone rings don't have to be flashy. These classic examples have a shiny gold accented with a thin edge of silver. The shiny surface gives these rings a classic look. This set retails for just over $300. A milligrain edge offers an understated decorative touch to a classic gold band. This example is designed for both men and women, so you can purchase two rings to create a matching his and hers set. It's constructed of 14k yellow gold and is six millimeters wide. Each ring is about $300. 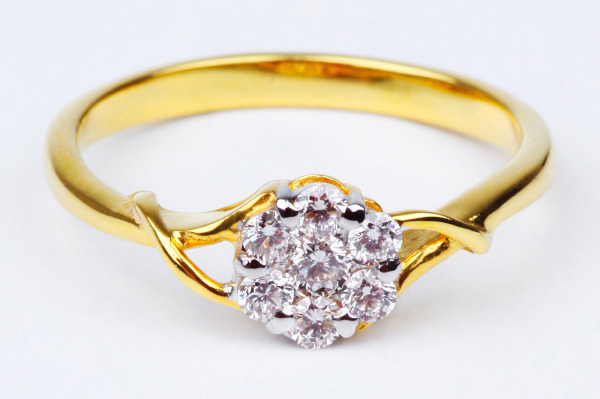 Traditional rings can also feature diamonds, especially if they are set in a simple way. These channel-set diamond wedding rings have Titaniam stainless steel bands, the man's measuring six millimeters and the woman's four millimeters. This lovely set retails for just under $100. Diamonds can also form subtle accents on classic wedding sets. These simple 10k white gold rings have a matching diagonal swoop of pave-set diamonds, providing an updated look without straying too far from the traditional. The set retails for just over $400. Gold isn't the only metal used in classic ring sets. Due to its amazing strength, titanium is another great choice. This classic titanium set includes a four-millimeter women's band and a seven-millimeter men's band. It retails for about $60. Tungsten carbide is another metal that is popular for classic wedding band sets. These matching rings feature a brushed matte finish and a stylishly beveled edge. The men's ring is eight millimeters, while the women's is five millimeters. The set retails for about $70. Sterling silver is another beautiful and affordable choice for traditional bands. These three-millimeter and four-millimeter rings have an elegant domed shape and make a great choice. At about $35 for the set, these rings also won't break your budget. A subtle hammered texture makes for a lovely classic his and hers wedding set. In this set, the his band is 7mm wide while the hers band is 4mm wide. Both are in solid 14k white gold, and feature a hammered-finish band in the middle with smooth edges. This ring set retails for about $1,600. Whether you choose an affordable option like sterling silver or something more exotic like platinum, purchasing matching wedding bands means finding a set that fits both of your personal tastes. Take some time to try on several classic wedding sets to find the one that's right for both of you.